Click here to get a quote from this trade provider! 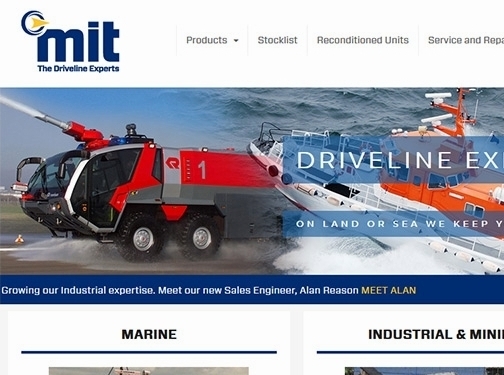 Specialists in diagnosing, repairing and maintaining vehicles and equipment used across the marine, industrial and mining sectors, the MIT (Marine and Industrial Transmissions Ltd) Group have built a solid reputation for servicing driveline systems throughout the UK. Whether on land or at sea, the MIT Group provide clients with full product life cycle support on driveline systems whatever their use. They also offer bespoke servicing options for specialist vehicles. From fire trucks and air support vehicles to road trains and diesel locomotives, the team of specialist technical engineers ensure that your vehicles are back up and running again in no time. Having worked with leading brands like the MOD and Irish Rail, you can rest assured that your equipment and vehicles are left in good hands. Operating from two bases in both the South and North of England, the team offer their services to clients throughout the UK. To see a full range of these service options, or to take a look at the collection of products they have available, visit their website for more details. If this trade provider sounds ideal for you, complete the form below to send a quotation request. UK (Queenborough, Kent) based business providing the design, supply and service of transmissions and driveline systems. Website includes details of products and services provided, work examples and case studies, testimonials, terms and conditions, full contact details including company registration and VAT numbers.